Heaven knows that our good Bishops are under fire for standing up for our Catholic Faith nowadays. What can we do about it? Support them with our prayers! 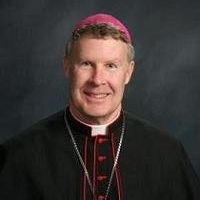 Rosary for the Bishop is a campaign that aims to support Catholic Bishops through prayer of the Rosary. 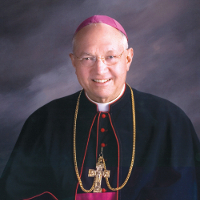 Please take a few minutes to join in praying for your Bishop. We bishops rely each and every blessed day on the prayers of the good and holy people of our diocese and of all those who have gone before us. We have no better intercessor than our Blessed Mother, the Mother of all the Apostles, the Mother of the Church. It gives me great serenity to know that so many women and men are turning to Mary, asking her special care and intercession for the bishops. As the Lord blesses the bishops through the intercession of Mary, may every person who takes part in the Rosary for the Bishop project also be blessed. As a Bishop, I am humbled and privileged to be prayed for by name each time Mass is celebrated in my Diocese. Knowing that many others are also praying for me every day by participating in the program Rosary for the Bishop, is a special blessing and source of encouragement for me. The intercession of our Blessed Mother through the praying of the rosary is a powerful tool to help me in my mission as a Shepherd of the Church. Thank you to all who participate in the program and for all who make it possible. It means more to me than you will ever know and I do indeed feel the grace of your prayers for me.